Spicemax 'asafoetida powder' the finest quality of compounded spice that delivers smooth flavor once added to the cooked dish. On basis its medicinal benefits it is commonly used as a digestive aid. 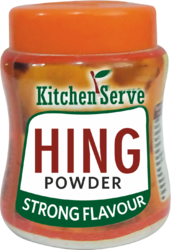 We are indulged in offering a qualitative array of Asafoetida (Hing) to our clients at highly affordable prices. These seeds are processed by our vendors from the extracts of umbelliferae plants, in most hygienic conditions. Clients highly demand these spices for their rich aroma, overwhelming odor and unique taste. 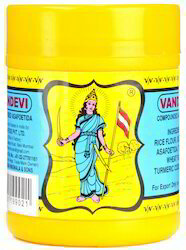 We are engaged in offering to our clients premium Asafoetida-50g Pellets. The pellets offered by us are widely demanded in the market for their ability to contribute immensely to the flavour of the food and medical benefits attached with these. We offer these pellets in 50 g packaging and at highly affordable prices. - which is a perennial herb (1 to 1.5 mtr. High). We make this Powder using all our experience to make the food tastier and complete in nature.We put such type of ingredients that you will find your Dal or Sambar or Bhaji Tastier.